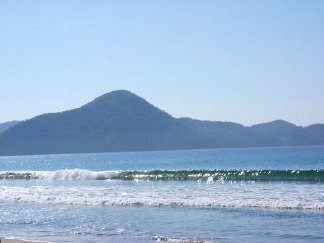 Michael and I are finally fulfilling a long-kept dream: in January 2008 we will run two separate weeklong tango seminars in our favorite Mexican village, La Manzanilla, on the beautiful coast of Jalisco. Many of you already know this paradisical and still so laid-back fishing village with its halfmoon bay and golden, sandy beach of almost five kilometers. This is truly a place to relax, swim, walk, and also to dance tango. Each seminar week starts in the evening with a get-together, dinner and Milonga in a small Mexican beach restaurant and ends with a Milonga in an Italian beach restaurant. There will be four guided Practica and three Milongas. Our friends Nansee and Richard from Mendocino have kindly offered the new dance floor on the roof of their new house. The size of the floor is 1800 square feet, with a palapa roof and gorgeous views to the mountains and ocean. Per person US$ 200.- or CDN$ 230. Per couple US$ 390.- or CDN$ 450. 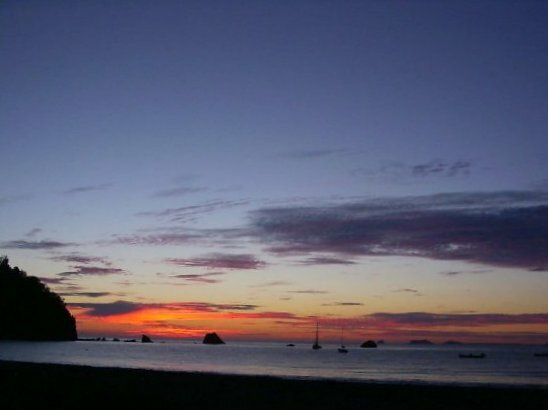 Nearby is the city of Manzanillo which has an international airport (ZLO) and can easily been flown in from anywhere. From there a taxi costs about $40 US. Or you can fly to Puerta Vallarta (PVR) and take a quite comfortable bus south to La Manzanilla (3.5 hours). We figured that people have different preferences, time frames, and budgets. For these reasons we refer you to the vacation rentals on this website and there you choose what you like. Best to start with the Location, Number of Rooms and Availability Calendar (link it on top of that page). Each listing has email addresses, Tel and Fax numbers for a large variety of rentals. We can also give some suggestions if you contact us. This is our first write-up for the two events, and already we have had many of our friends book their places. If you are interested in joining us in January, please contact us soon at embracetango@aol.com and reserve your spots. Needless to say, we attempt to achieve a good gender balance for both seminars. We're looking forward to hearing from you and are excited to dance with you next winter in La Manzanilla. The contents of this site are copyright © 2007, Daniel Hallas. All Rights Reserved.